Our National Funeral Shipping costs are the lowest of any funeral home shipping provider. Transporting Human Remains is a duty that demands respect, sensitivity and careful attention to detail, our shipping services are designed to meet your specific needs. • Basic services of the funeral director and staff. • The local (within 10 miles)Transfer of remains to this Funeral Home. • Transportation to Local Airport. • Sheltering of the remains up to 48 hours. • Identification of the loved one if desire. • Coordination and approvals of all local, state, paperwork. • Booking of all flights. • Communication with receiving funeral provider. • Delivery and supervision onto the deceased’s flight (common carrier) . • Basic Shipping Container . Note: This charge does not include the actual cost of the shipping airfare. casket or approved shipping container. estimated ( $500 to $700). Our International Funeral Shipping costs are the lowest of any funeral home shipping provider. Michigan Memorial provides 24-hour repatriation and mortuary shipping services worldwide. We process all documentation required for international shipping, schedule the flight, track the shipment, and coordinate the completion of the repatriation process anywhere in the world. Deceased care, preparation, sealer casket, and or “approved” receiving country shipping container. We coordinate all aspects of funeral shipping from the United States to the deceased's country of origin efficiently and always with dignity and respect. • Transportation to International Airport. • Sheltering of the remains for up to 48 hours. • Embalming (Required by law for international shipping), dressing and casketing. • Coordination and approvals of all local, state, “receiving country” consulate paperwork. • Booking of all international flights. • Communication with receiving country or funeral provider. 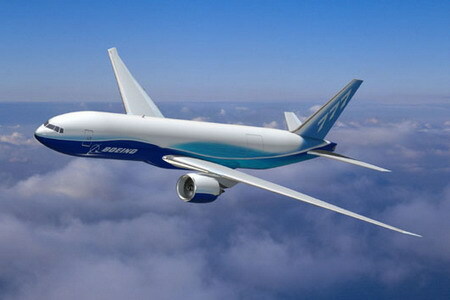 • Delivery and supervision onto the deceased’s international flight. 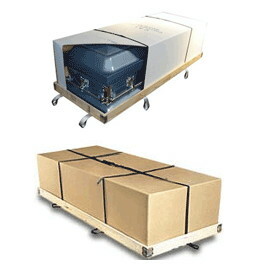 • Basic Sealing Shipping Casket with Airtray or Approved Sealing Shipping Container. Note: Every Country has different regulations and there might be a fee to be paid to the consulate paperwork.The deceased shipping airfare is not included, this cost is determined by place of destination and the combined weight of the deceased, casket or approved shipping container. This charge does not include the actual cost of Death Certificates ( $ 10 each).